A few months back, we took a road trip down to Florida. We were going to a wedding, and a family member had gifted us a week at their timeshare in Orlando as a Christmas present. We couldn’t have gotten out of going to Disney if we wanted to. Of course, we wanted to go. It’s just an expensive trip, so it’s not likely one we would have made on our own. 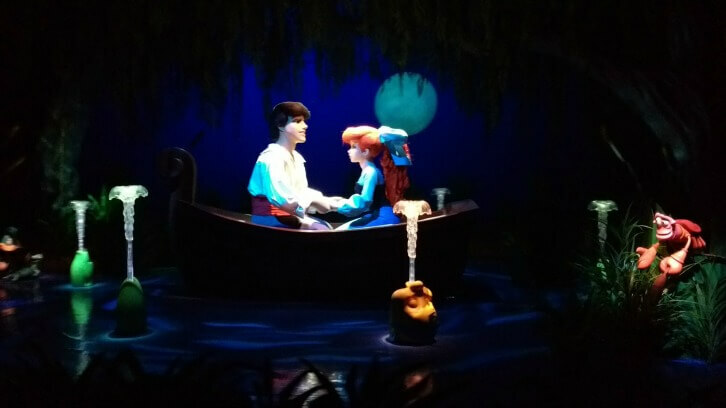 We had a bit of a mixed experience once we got down there, to be honest with you, but Disney has worked to make amends for the negative experiences we had. The positive experiences were great, though. We got to meet a bunch of characters–most of whom were awesome. One of my kiddos ended up being the rebel spy on board our ship on the Star Wars ride. And a live performance of Frozen brought us to tears. Yeah, that last one really happened. We did a few things to save before we went. First, the timeshare was free, and we were able to dodge the sales pitch. We also travel hacked our tickets. They weren’t free, but they were insanely cheap. Once we got there, though, I realized that there was more I could have done to prepare. To save you from making these same follies, I thought I’d share my learned-from-experience Disney savings advice. Before I had gone to Disney World as an adult, I assumed the best way to ensure the kids met the characters they were in love with was by scheduling a meal with them. So we scheduled a couple of them. We chose the cheaper buffet option when we dined at Disney restaurants to meet with characters, but it was still pricey–between $30-$60 per person. Here’s what I wish I would have known before we left. 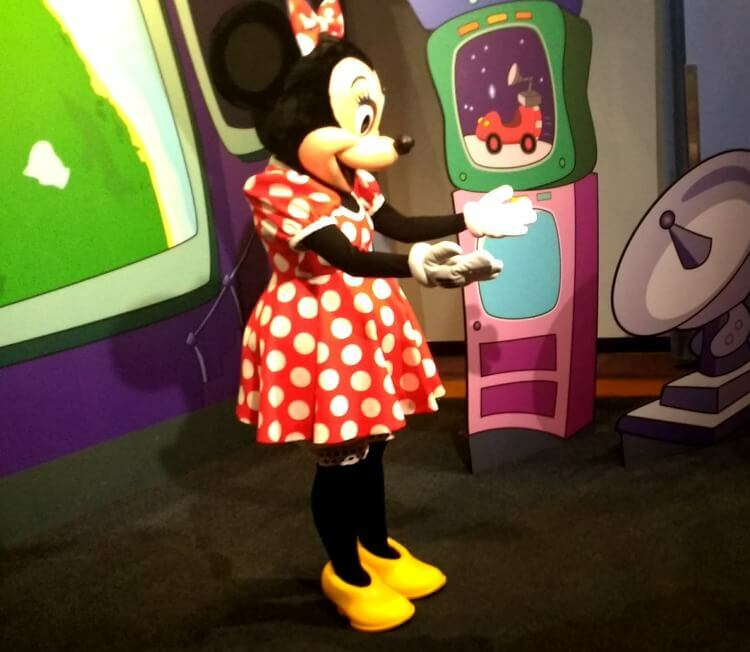 Minnie Mouse at Epcot was so, so great with the kids! …in this way. If I had known there would be so many opportunities to do this, I may have cut one of our character dining experiences, and saved a ton of money in the process. From what I saw walking around the parks, the lines for these meet’n’greets weren’t that long. And we were there at the end of May, which I understand to be a pretty popular time to visit. Dig around on the Disney Experience App before you go. You’ll be able to see where the meet’n’greet opportunities are, and a quick google search should be able to tell you if your character of choice has crazy long lines. Worst case scenario, you can use one of your Fast Passes for extremely popular characters. Disney’s attractions include a whole lot more than just rides. 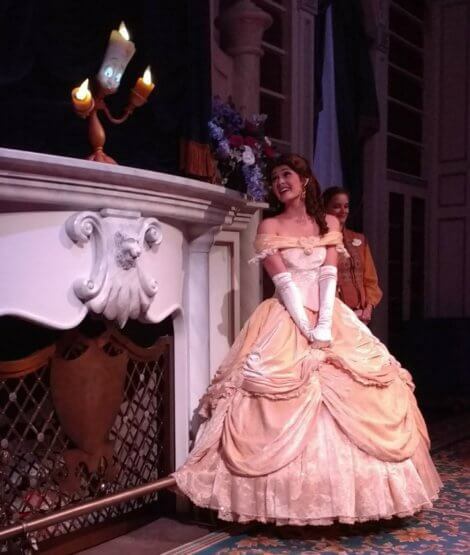 For example, we got to meet Belle at Enchanted Tales with Belle. The upside to this was that our kids got an up close and intimate experience, performing a play while interacting directly with Belle. The downside was that the line was insane. Even with a disability pass, we waited somewhere between an hour and an hour and a half after we got in line. Granted, this is an extremely popular attraction right now as the new Beauty and the Beast movie just came out, but it was still less than fun. Arguably worth it once we got inside. For the Frozen performance we attended, there was also a bit of a wait, though nowhere near as bad. Your kids didn’t get to meet and hug the characters for this one, though we didn’t expect that to happen and really loved the over-the-top performance. Read the attraction description to see just how up close and personal the experience will be, and then weigh if the wait time is worth it, or if you’d rather pay to sit down and eat a meal while the characters make their rounds to your table. Ugh. The biggest money mistake of our entire Disney trip was not buying the kids things they wanted while we were in the park. I did want to get them a souvenir or two, but largely I told them to wait until we got home and then Mommy would buy it cheaper online. I took pictures of UPCs and everything. SURPRISE! Disney has a separate line of products that they sell exclusively at the parks. The internet seems to be aware of this exclusivity. When people resell items from the line, the price is way marked up. I had promised my kids I’d get them this stuff, though. We have lots of conversations about sacrifices and trade offs when it comes to money, but this was something I had explicitly told them I would buy later in order to stave off tantrums. Because I’m not a fan of breaking my promises, I’ve been filling in an item or two for birthdays, and Santa will probably help out a bit at Christmas. The number of presents they receive isn’t as large as it would usually be if I weren’t buying already-expensive-and-then-marked-up-even-more Disney products. But they’re happy because it’s something they really wanted, and I’m happy because I’m able to not be an evil liar. Central Florida is insanely hot in May. Thankfully, this was one area where I did something right. Cooling towels absolutely saved us on this trip. We got Frogg Toggs Chilly Pads, and I highly recommend them as they worked amazingly well. I would not recommend their other cooling products, though. You wet them down and lay them around your neck. As the water evaporates, it cools you down. The water takes a long time to evaporate, too, so we weren’t stopping at a water fountain every five seconds. Once we were inside Disney, we saw Disney-branded cooling towels everywhere–primarily donning the face of Mickey or Minnie mouse. They were $20/piece. If we hadn’t been prepared, I would have broken down and bought them, price tag be darned. If we were going to be there, we needed them. Otherwise we would have had to cut all of our days short. Buy yours before you get into the park so you don’t get robbed. Kmart has them for half the price. You are allowed to bring coolers into the park as long as it meets size guidelines and doesn’t contain glass or alcohol. We packed ours full of water. Yes, it was heavy. But so worth it. We usually had to buy more water about half-way through the day at park prices (I’m a weirdo about fountain/tap water,) but if we hadn’t brought our own supply at the beginning of the day, we would have had to pay park prices twice. We also found that we had enough room on all the rides to put the cooler by our feet. We weren’t riding any insane roller coasters, but even on the Dumbo and Little Mermaid rides, we had no issues. Our family’s favorite ride in Magic Kingdom. Can you do Disney World on a budget? Absolutely. We did it relatively affordably this time, given that it is Disney. We plan on heading back in the next couple of years. This time, we’ll have some pro experience under our belt to safeguard our budget even better. 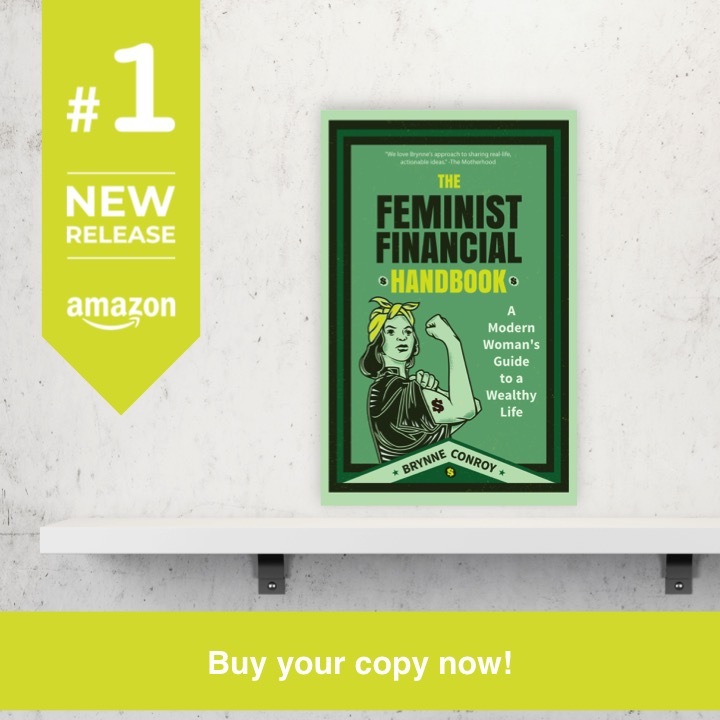 This entry was posted in Family Finance, travel on August 30, 2017 by femmefrugality. 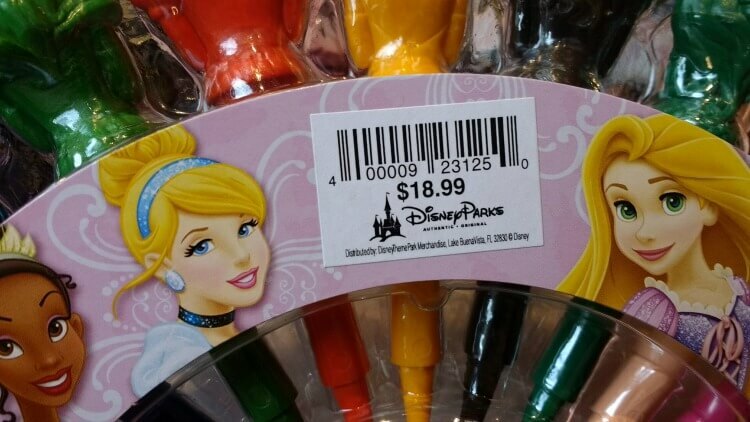 Maybe buy some cheap non-park-exclusive Disney stuff ahead of time? Smuggle it into the park. When the kids see a display and go toy crazy, whip out a new toy for them. I think another tip is don’t stay with small kids too long in the park. I’ve seen many kids past their expiration date. The first 5 hours are great fun, but hours 6 and 7 can be miserable, once kids are tired. Not a bad idea! And yes, too long in the hot, hot heat! We were discussing on our last day there and decided it may have been smarter to NOT arrive first thing in the morning—come later in the day and stay into the evening instead. Still the same expiration date on temper tantrums, but you can do it at not the hottest time of day. Disney vacations are fun! We were in Orlando May 21 -26 and loved how cool it was compared to previous August trips. With souveniers we always gave the kids a budget and said that when it was gone it was gone. They could buy toys, or snacks or whatever they wanted but they weren’t getting any more. I remember that! Sounded like such a great trip! I’m such a northerner in my heat tolerance after living up here for a while again– I think our next trip will have to be late fall haha. And I’m totally with you on that strategy. We kept it to one item per day, and that worked because my kids are still attracted to things like single toy cars a la Matchbox. Epcot was the hardest for them in that respect–new gift shop for every country! But I had a running budget in my head and they weren’t going over it, otherwise I would have had to modify the rules. The things I said we’d look at once we got home were higher priced, but they didn’t bring me many of them. We couldn’t fit them in the vacation budget but I was sure once we got home I would be able to find them cheaper and get them within a birthday budget or Christmas budget. I was wrong about the cheaper part! It’s crazy expensive, right?! We wouldn’t have been able to justify the cost without the free accommodations and travel hacking our park tickets. We also hopped in the car for two days each way. You can use that same post for free or low-cost air travel and/or an on-resort hotel. No affiliate links in there on my end. Great tips! The hubby and I are currently disagree about whether we should take a trip to Disney someday. His biggest problems with it are the money involved and waiting in super long lines. It’s good to hear that you can see attractions without waiting in line all day long. Yes, you can! We had a disability pass, which doesn’t really cut down your wait time dramatically–you just don’t have to wait in the actual line. You come back and hop in the fast pass line. Which works okay most of the time–except the live performance attractions. BUT every person gets two fast passes everyday included in your ticket. So if there’s something crazy popular you want to go to, I’d use them for that. After you’ve used both your fast passes, you can actually get more–or at least the equivalent of more–by using the app. So if you book two things in the morning…it’s a little bit of a risk as some things sell out of fast passes months in advance. But definitely a strategy to consider. And re:holy-expensive-Batman prices, check out my comment to Jamie above. You can get free ice water at Walt Disney World Theme Parks at any counter service or snack station that serves soda. Just ask for a cup of ice water. We kept refilling our thermos water bottles (https://www.thermos.com/index.php/beverage-bottles/genuine-thermos-brand-stainless-king-vacuum-insulated-stainless-steel-drink-bottle-24oz.html – they stay cold, even on really hot days). Some people add Crystal Light or Lipton To Go to flavour the water (as it doesn’t always taste the best) but we had no problem since it was often cold and/or filtered. Yeah…we tried that multiple times in every single park. The only place where we were actually given ice was at Hollywood Studios. Everywhere else they pretty much told us it was too precious to them to be giving it away. Was shocked because I had heard this same advice before going down there! Other people may just run into more helpful employees than I do. 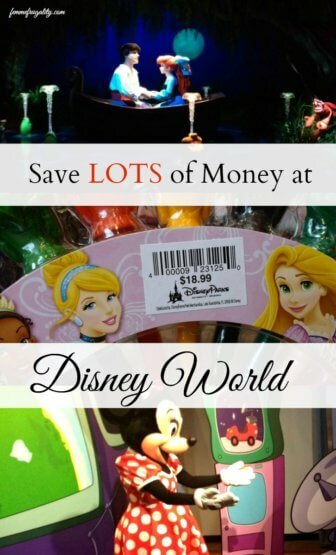 Great ideas for saving money at Disney World. Those souvenirs prices are unbelievable! They will always remember though the good time they had.